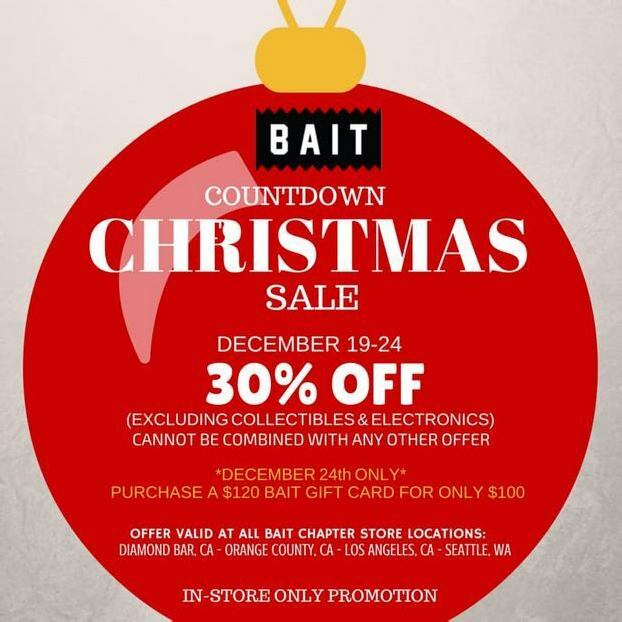 Join BAIT in counting down the days till Christmas by taking 30% off (excluding collectibles & electronics) at any of our four BAIT chapter stores, December 19-24. Take care of all your last minute shopping needs at BAIT! In-store only promotion. Exclusions apply.